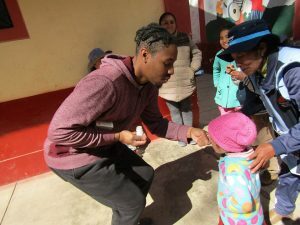 Three Eastern Mennonite University students preparing for careers in health professions observed healthcare delivery in Peru this summer on a trip funded by the CT Assist Health Experiential Learning Program. 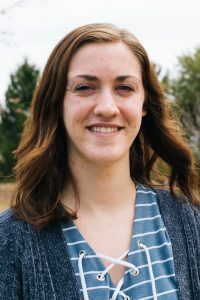 They – and other students who completed STEM research and internships this summer – will share about their experiences in the first of the fall semester’s Suter Science Seminars, at 4 p.m. on Wednesday, Sept. 12, in the Suter Science Center room 106. 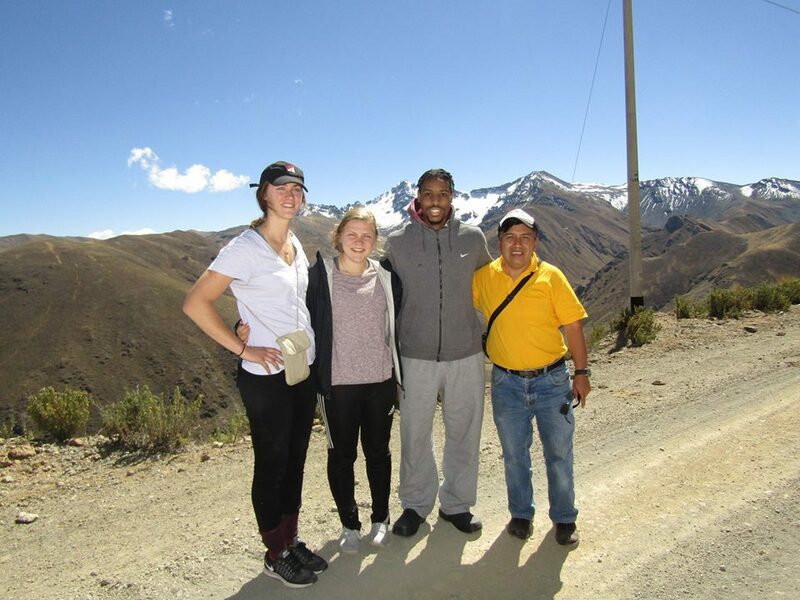 For seven weeks, biology majors Sylvia Mast, Xavier McCants and Maria Yoder shadowed and accompanied health care providers in village and urban settings, took Spanish classes and learned about Peruvian culture through homestays. They were accompanied for two weeks by professor of biology Kris Schmidt, who previously lived and worked in Peru and facilitated their travels. The CT Assist Health Experiential Learning Program awards funds to pre-professional health science students at EMU to support clinical experiences that help prepare students for professional health programs. The three recipients this year – Sylvia Mast, Xavier McCants and Maria Yoder – each received the maximum amount of $2,500. 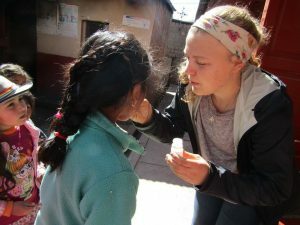 Mast, who plans to become a physician’s assistant, said the trip provided opportunities such as measuring blood pressure, finding a baby’s heartbeat using ultrasound, centrifuging blood and typing bacteria. 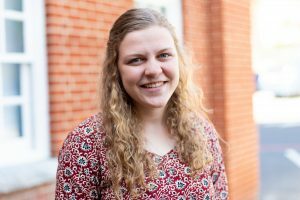 Navigating medical terminology and seeking to understand the procedures she was seeing required Mast “to give myself grace in my limited understanding and to be unapologetic in my ignorance” – and “to live with humility and use that humility to foster curiosity,” she said. “The culture of a community dictates the way healthcare is administered,” she said. That could mean using the appropriate language – perhaps switching from Spanish to Quechua – or prioritizing people’s needs over strict adherence to an established schedule. On an “abnormally chaotic” morning in one clinic, Mast observed an appointment that exemplified how though the clinic was a busy place, staff prioritized their patients’ needs: A mother and a nurse had set out to find a needed medical device for a sick baby, leaving the baby with its grandmother in the exam room. Meanwhile, the next patient – another mother – was brought into the same room. When she saw the sick baby crying, she shared some of the milk she had brought along for her own child. While sometimes at the cost of efficiency or organization, a patient visit to this clinic often became a communal effort with doctors and neighbors and strangers working together to solve a problem. 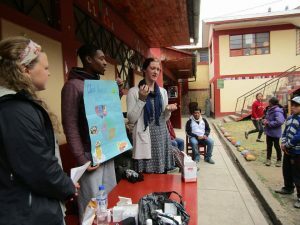 “Observing the healthcare system in Peru has only strengthened my desire to become fluent in a second language, culturally aware within my own community and constantly attuned to ways that the system can provide proactive intervention in establishing a healthier community rather than solely reacting to repetitive problems that arise,” she said. 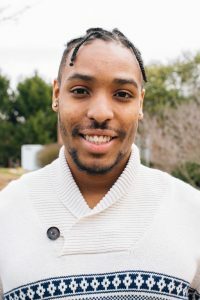 The cross-cultural experience took McCants out of his comfort zone and prompted him to approach service with “great sensitivity,” he said. It also made him want to offer help – and therefore more zealous for future studies. That system sometimes appeared “chaotic,” with patients waiting in long lines, and doctor visits where staff, and occasionally a stray dog, moved in and out of the room, she said. In the small village of Vito, Yoder observed the difficulties of accessing advanced health care: Lima is a 21-hour winding, bumpy bus ride away – a trial for village women with complicated pregnancies. She also noted the carbohydrate-rich diet of subsistence farm crops that leads to health problems such as diabetes, anemia and malnutrition. And she realized that all health norms are not always culturally relevant. In Vito, the students prepared and gave “health chats” at an elementary school and with mothers in the community. They had considered including the World Health Organization recommendation to cage animals in order to reduce parasite risks, but decided against doing so.